Imamiya-jinja is a shrine in northern Kyoto that is probably overlooked a lot by tourists. It is not as amazing I guess as most of the other sites in the city and if you are pressed with time then it is completely understandable. It is a shrine that is very close to Daitoku-ji temple complex which should be a must for most tourist so it isn’t that far out of the way to take a look. It has been around since 1001 so a thousand years! It protects against epidemics and was built at a time when there was one going around Kyoto. On one side of the bridge is the east gate to the shrine where there are two restaurants that offer roasted rice cakes and have been in business since the year 1001 roughly. I believe they are the oldest business that is still running in the world. That’s a long time. 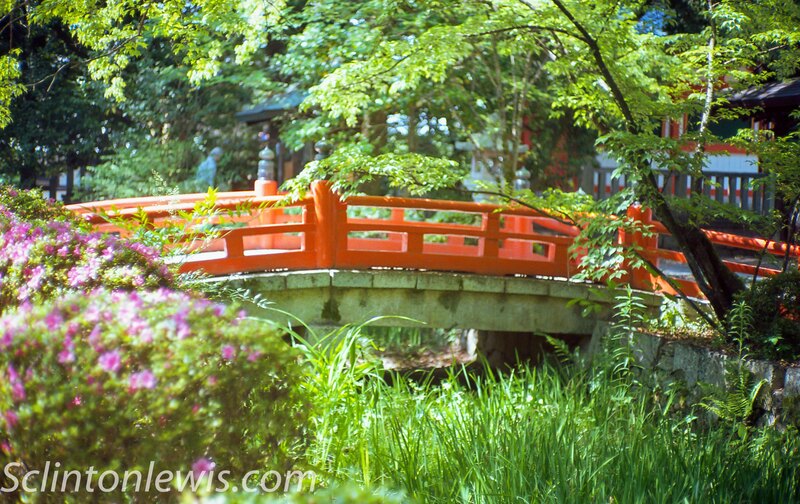 This entry was posted in bessa r4m, Ektar film, film, japan and tagged bessa r4m, Ektar film, film, japan, kyoto, travel. Bookmark the permalink.